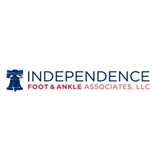 Independence Foot And Ankle Associates (Lansdale) - Book Appointment Online! Independence Foot and Ankle Associates is a unique partnership of Podiatrists designed to provide the best health care with unmatched access. Dr was professional , knowlegable and courteous .